As we have advanced in technology, plagiarism has also emerged as an enormous problem. It is constantly threatening the purity and piousness of academics either for faculty researchers or for students. It is troubling academic world by its uncontrolled amplification in academics. The massive use of electronic gadgets has certainly triggered the cause. The easy accessibility has simplified copying for students than ever before making plagiarizing easy. 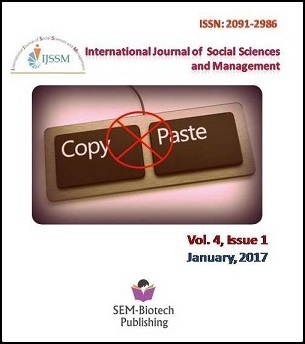 This paper attempts to explore the issue of plagiarism from various dimensions especially students and academics.